English firm Humber built three-wheeled forecars and four-wheelers as well as the motorcycles which they manufactured from 1902 to 1930. 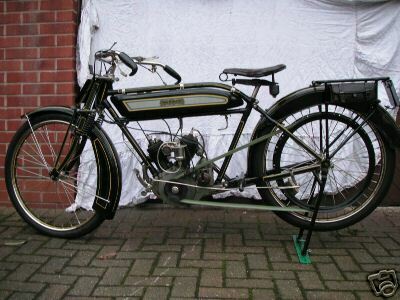 Initially their machines were built under Phelon & Moore licence using a single cylinder P&M engine and two-speed chaindrive transmission, but later examples had their own engines of 496cc, 596cc and 746cc. 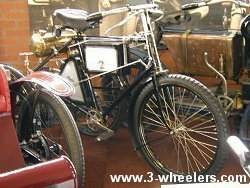 These included sidevalve flat-twins which were built up until about 1924, subsequent machines having only single-cylinder 347cc engines with either sidevalve, ohv or overhead cam configuration. Competition success included a win in the 1911 Junior TT. 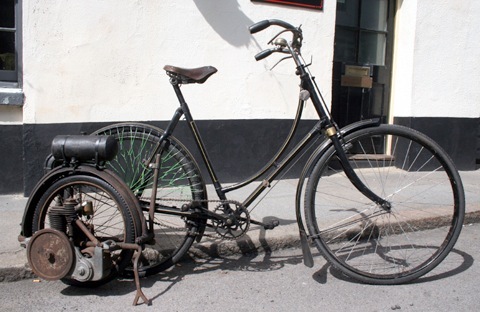 Humber produced their first cycle in 1869 and was at the forefront of motorcycle development during the pioneer years. Early machines were largely of the tricycle type; with Ixion crediting them with building what, in his opinion was the best example of the breed in 1902, towards the end of the type's period of popularity. 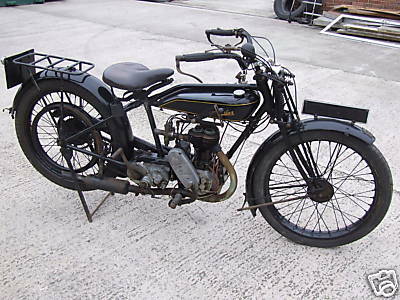 It was equipped with a P&M type chain drive, which the company had been quick to embrace and girder forks. Other early innovations included the adoption of a cone type clutch operated by a quadrant on a lightweight machine. The company had moved into car production during 1901 and continued to manufacture the high quality cycles for which they were renowned, counting His Royal Highness King George V among their clients. It has been suggested that their motorcycle activities were not pursued with the same level of enthusiasm that other manufacturers displayed as a consequence, although their history of innovation and success would suggest otherwise. 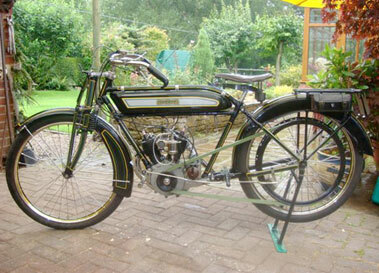 1911 Humber V-Twin vintage motorcycle TT model. 2.75 HP, approx, 400cc. During 1911 the company introduced a new 2 3/4hp side valve vee twin. The 2 3/4hp model complied with the new Junior TT regulations that stipulated a capacity of no more than 340 cc for twins and 300 cc for singles. Run over the full mountain course, Humber rider Percy Evans fought off a strong challenge from the single cylinder Matchless of Harry Collier to secure a victory for the vee twin, with other examples of the type finishing in 4th, 8th, 9th, 14th and 18th places out of a field of thirty-four riders. 1914 Humber with Wall Autowheel This Wall Autowheel is attached to a restored 1914 Humber Ladies cycle.